This category is all about what’s under the bonnet. 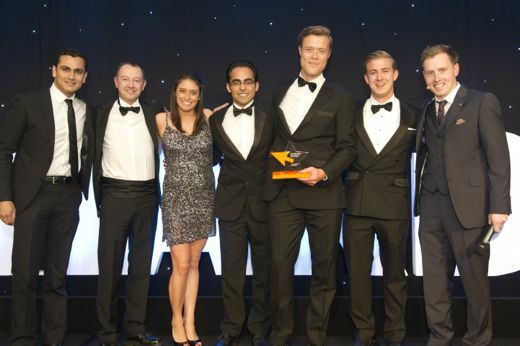 What impressed the judges about Tramchester was its use of graph database technology to make a transport app that was quicker, more efficient, and more flexible in the face of future demands. 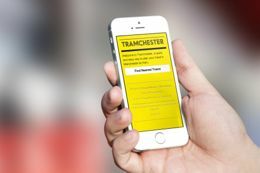 "Tramchester is a new public transport mobile web application for the Tram network in Manchester, built by the ThoughtWorks Technology Lab in just six weeks. 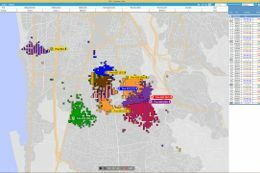 The application models the tram network using a graph database, which calculates the best route between two tram stations using a path finding algorithm. Users can select a preferred tram-route based on nearest tram stop, departure and arrival time, number of connections and tramline. Once a tram route is selected it will give detailed instructions of the journey. Tramchester is built using publicly available data and open source technology and is hosted in the cloud. " "SRi Forensics challenged Shaping cloud to build a complex Electronic Evidence Presentation (EEP) System to be used during an International Criminal Tribunal. The system needed to organise and display geographical and time-based evidential data to a courtroom as part of a high-profile trial. Existing tools and methods were inefficient, with over 750,000 items of evidential data proving impossible to work with. We developed an application that would work both pre-trial, allowing prosecutors to orchestrate and design the evidence that was displayed to the courtroom, and during the trial itself, recording and annotating the evidential presentation." Submissions should demonstrate how the application of original, new, or advanced digital technology has enabled the execution of a project, product or service, or has been used to increase its effectiveness in delivering business or other tangible objectives. The iPlayer radio app was the clear winner in this category. The high production values and great features make this app a pleasure to use but importantly, also help to make BBC Radio's deep well of content all the more apparent and accessible. This is an app that actually gives the radio lover a different and useful window into BBC Radio. Cybertill's Advanced Gift Aid solution automates the Gift Aid process at the software level, making it easy for charity retailers to comply with the strict guidelines involved and dramatically increasing the amount of money they can bring in. Many charities now reclaim gift aid on donated goods in their charity shops. Gift-Aid allows charities to reclaim the tax paid on donated goods by UK taxpayers (with donors' consent), typically 25p in every pound. HMRC has set out strict guidelines on the procedures around gift aid and the reclaim process is administratively intensive. Cybertill has introduced Advanced Gift Aid software, which integrates with its retail point of sale system, and this automates gift aid processes for charities and in addition guarantees to eradicate all missed gift aid sales and increase the revenue a charity takes through gift aid. Time Machine is an alternate reality game that educates 9 to 12 year-olds about the history of the Tyneside Cinema. The success of this project was less about the technology used and more about how it was used to introduce kids to the sheer joy of discovery. Time Machine is an alternate reality game engaging 9-12 year-old school children with the history of Tyneside Cinema. It starts as a web-based classroom experience and culminates in an unforgettable visit to the country's last surviving newsreel theatre where children must save the building from an evil foe. Time Machine wraps a fictional storyline around the Cinema's real heritage and offers a series of unique learning activities. The experience is at the cutting edge of education and entertainment and is the first time an ARG has been used by a cultural venue to deliver learning directly into the classroom. The judges described the winner in this category as a fascinating and innovative project. It showed a profound understanding of its target medium and how it should be transformed by the internet, rather than just how it could be. With the advent of IPTV, interface designers are beginning to explore how lean forwards interactivity can take place in the sit back environment of living room and sofa. This concept project commissioned by BBC and Vision + Media goes one step further: what should Radio 1 look like on television, and how should that be interacted with? Our concept project explores the relationship we have with radio, and a successful IPTV app needs to fit in with very differing user needs. Running the risk of making crap telly out of radio, we're happy to achieved good looking radio. People who work in technology are accustomed to a chorus of complaint from our friends and loved ones - Why does new stuff always have to be so difficult to use?" So the judges were delighted to recognise a genuinely compelling use of new technology - indeed, our winner has already received the highest form of flattery - imitation by a HUGE competitor!" We were very impressed by this extremely inventive addition to an existing, and world-leading, gaming technology. It's a simple idea executed through an innovative combination of techniques, and it literally adds a new dimension to the user experience. jOG is the ground breaking add-on controller for the Wii that detects lower body motion and brings a whole new dimension to your living room gaming experience. It lets you control your game character movement by jOGing on the spot. Simply plug it in and clip it to your belt and you are ready to start playing your games in a new, exciting and active way. jOG is fun, immersive, healthy, great value, easy to use and compatible with all existing video games that use the Nunchuk joystick to control game character movement.